A phobia is a strong, irrational fear and is the most common type of anxiety disorder. It is estimated that in the UK alone that 10 million people have phobias. Sufferers go out of their way to avoid what they are afraid of and, if they come into contact with it, this can lead to feelings of panic and fear and a strong desire to get away. Phobias are categorised either as simple (about specific objects, animals or situations, e.g. spiders, snakes, dentists or confined spaces) or as complex (associated with deep-rooted fears and more disabling, such as agoraphobia where an individual fears situations where they feel vulnerable and exposed, with nowhere to escape to or hide if things go wrong). 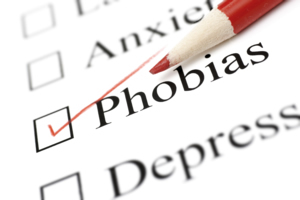 If you think that you or someone close to you has a phobia and are not sure where to turn for advice, support or help, then The Community Programme can put you in touch with those organisations and services offering specialist help and advice on the best course of treatment, as the good news is that most phobias can be successfully treated and cured. The Community Programme can also provide contact details for support groups in your area, where you can meet others overcoming problems similar to your own. Alternatively, you can discuss your experiences and concerns on our free, confidential online forum.